Train station is just 5 minutes walking distance. It takes 37 mins for the express train to get you to Town Hall. 5mins drive to Miranda Westfield and 15mins drive to Cronulla beach. Vibrant shopping and dining precinct right at doorstep, with Coles, Aldi just downstairs. Your bedroom will have access to the balcony and with great sea view in the east and Royal National Park View in the south. You have a double sized comfortable bed with four drawers storage underneath, a built-in wardrobe, a bedside table and a 3 chest of drawers in your bedroom. You have your own bathroom. Internet included in the rent, share bills. $320 per week. 4 weeks rent as bond required. Prefer someone tidy, clean and easy going and longer stay period. Please feel free to contact me if you are interested. Clean and modern brand new apartment including netflix, air conditioning, internet. Also fully furnished. Centrally located in Kirrawee. Train station, Shops (Coles, Aldi), restaurants and cafes are a 5-minute walk. Sutherland is a 10-minute walk. Train to Cronulla is 15 minutes or catch and express to Town Hall in 37 minutes. 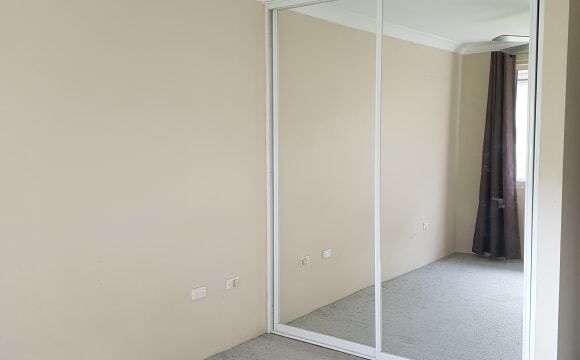 •	Medium sized bedroom – with built in mirror wardrobe. 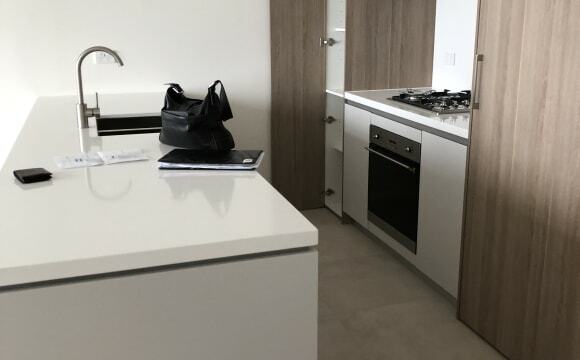 •	Bright apartment with plenty of natural light •	Open plan living area with timber floors and large balcony •	Fully equipped kitchen with dishwasher. •	Internal laundry with washing machine and dryer. •	Plenty of street parking. •	Unlimited Wifi I have a Cleaner once a month and communal areas are always kept clean and tidy. • All bills included - Water, Electricity, Wifi and Cleaner. 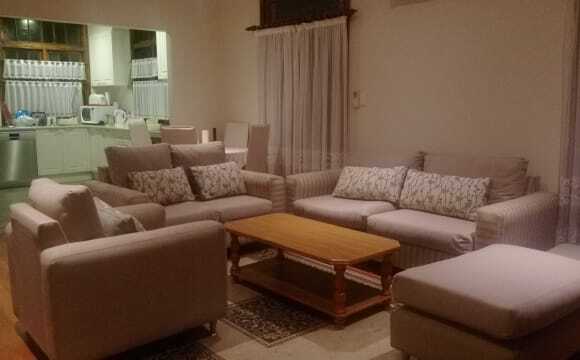 Hi everyone, I have a room to rent in a lovely home which has tennis courts and a swimming pool/spa for us to use. There are also 3 incredibly cute cats living here too. 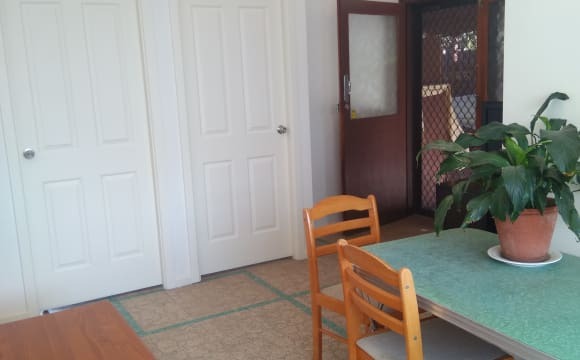 The house in a friendly complex within close walking distance to shops and public transport. The house is tidy, clean and modern. With a relaxing outdoor area to chillout in. 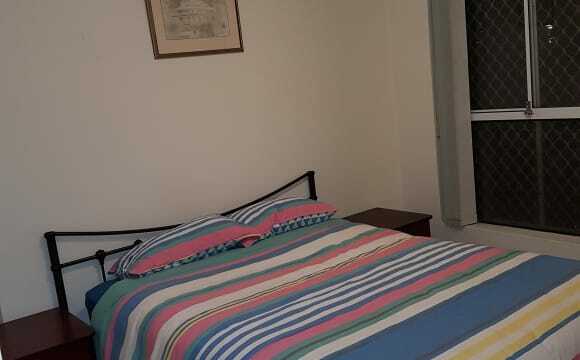 The room available has a very comfortable queen sized bed with mirrored built in wardrobes. It is really important that housemates like cats. My home is in a quiet end of a cul-de-sac, with plenty of on street parking and looking for a clean and tidy working person. The room is unfurnished and their is air conditioning throughout, plus a ceiling fan in the room. You have your own bathroom as well. Kitchen has been renovated with modern appliance, plus a barista coffee machine, for those that like coffee. In the morning the sun shines into the kitchen and back deck, and nothing better enjoying a coffee out on the back while you watch nature at your doorstep. While having quests over for dinner, etc, is all ok, this is not a party house. Not suitable for couples wanting to live together, or those that want to bring their cat or dog with them. Its quite and spacious, you would be sharing with one only male and a small dog. being a two floor residence you don't get in each others way, your room has built in wardrobes and it is very handy having your own bathroom, the complex has a pool, spa and tennis court. 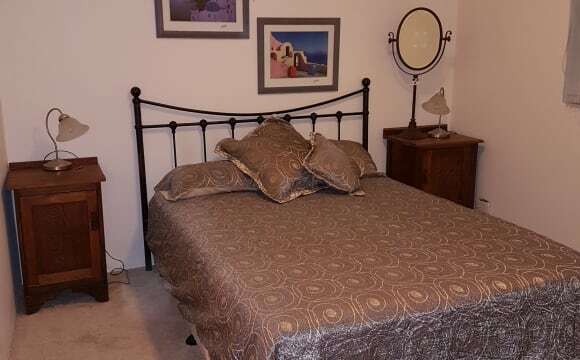 Spacious unfurnished bedroom with large built in wardrobe and ceiling fan; shared bathroom and internal laundry. 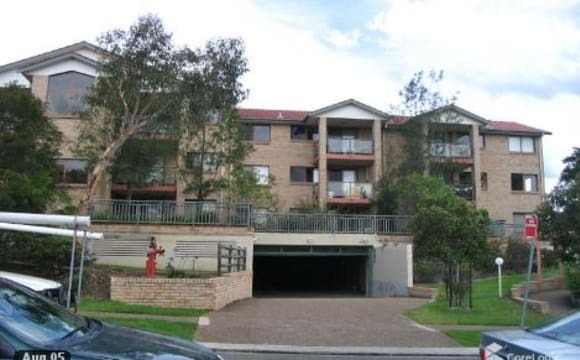 Third floor apartment with airconditioning, 10-15 minute walk to Kirrawee Station, shops and South Village, 20 minute walk to Sutherland Station and shops. Large balcony overlooking park. Outdoor swimming pool in large complex. Electricity and internet included in rent. Convenient. Express train to city, bus stop right in front of the blick, nearby Post, bank, food, supermarket, petrol station. 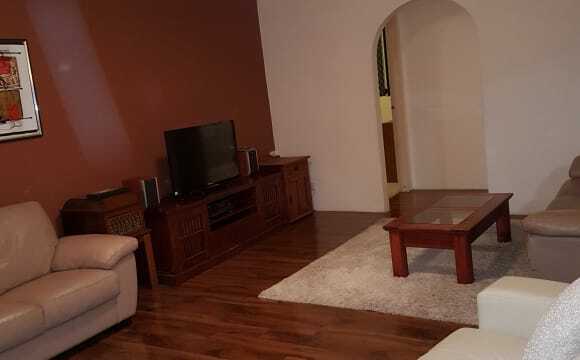 Fully furnished, security door intercom, Telstra air internet connection for member, 2 tv, 2 beds, 1 garage, 2 visitor parking first cone first serve, one walking wardrobe attached to master bedroom. Convenient location, ground floor, access to bus stop and train, supermarket and pub, bank, post office, shops and food, all within walking distance. Express train to city 35 min. Fully furnished. Just bring linen and pillow. Security : Intercom to unit. This is not include electricity bill approximately $25 per week. 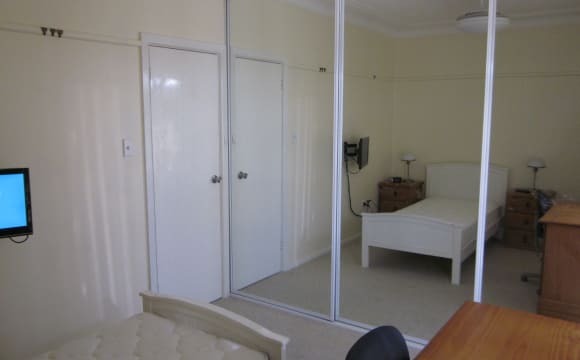 Bigger room with walking wardrobe. There is free Telstra Wi-Fi if you are Telstra member. Convenient location, ground floor, access to bus stop and train, supermarket and pub, bank, post office, shops and food, all within walking distance. Intercom to unit. Express train to city 35 min. There is free Telstra Wi-Fi if you are Telstra member. Fully furnished. Just bring linen and pillow. This is not include electricity bill approximately $25 per week. 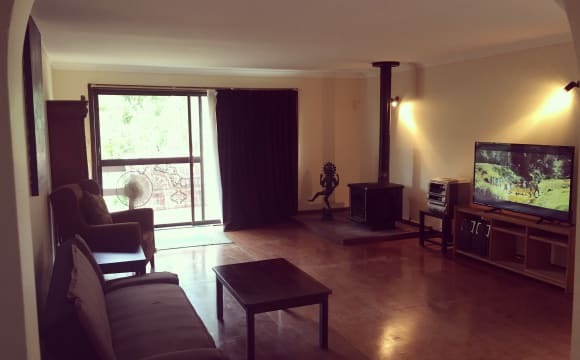 The room is in a 2 bedroom apartment with a shared bathroom and a large balcony with quiet, leafy suburb views, only a 12 minute walk to Sutherland shops and train station (which has express trains to the city). Beautiful, large federation style home nestled in bushland at the end of a leafy quiet cul-de-sac. The home has been built using aspects of an early century pub in Sydney, such as a stunning timber staircase and gorgeous recycled brick. The off-street home opens into a chandelier lit foyer, opening onto an upstairs area and a staircase that leads downstairs. Moving through the upstairs French doors, you enter upon a bright, naturally sunlit living area boasting an open fireplace, air conditioning, and French doors opening onto wrap around balcony. 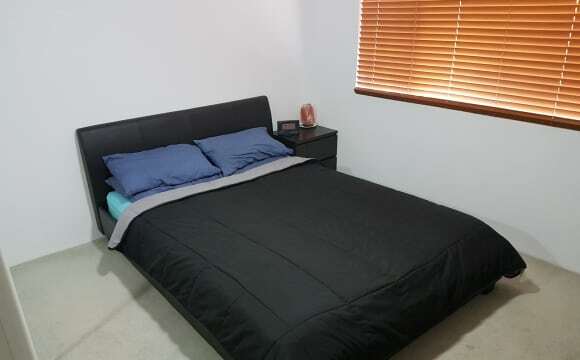 Off the living area is master bedroom (with ensuite), second, third and fourth bedroom along with shared bathroom. The Master room with walk-through-robe and recently renovated ensuite, also boasts an open decorative fireplace and private balcony overlooking creek and bush. * Currently occupied. Second bedroom with built-in wardrobe and gorgeous sash window. *Unoccupied. Available. Third bedroom with cupboard, large stained-glass window overlooking trees and French doors opening onto balcony. *Currently occupied Fourth bedroom with large stained-glass window overlooking trees and access to balcony. *Currently occupied. The shared bathroom has recently been renovated and has shower, vanity, heater and Hollywood lights. Moving downstairs, you pass through a chandelier lit sitting room to make your way into open plan kitchen and second living area. This living area also boasts an open fireplace, French doors opening onto wrap around balconies taking you into the garden with a babbling creek running along the length of the property. The newly renovated kitchen, includes all as new appliances and stone bench tops. There will also be an additional fridge and freezer available. Laundry area includes a washing machine and outdoor clothesline. The downstairs has two bedrooms. Room 5 is brightly lit, huge built in robe, French doors opening onto the backyard. *Currently occupied. Room 6 is a master bedroom. Large bedroom with beautiful timber flooring. Stunning stained glass windows, with private outlook. Very large built in robe with pull-down hanging spaces. Walk through to recently renovated, private ensuite bathroom. * Available soon. Seeking interested people. 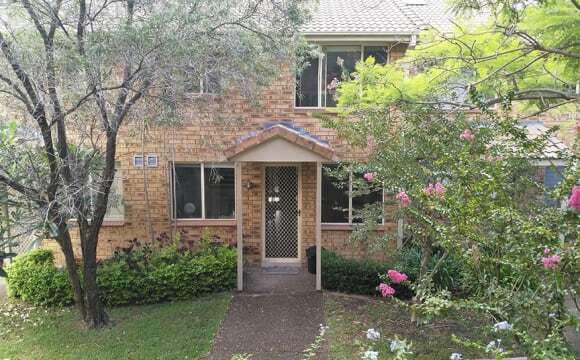 The home is 10-15 minutes walking to Gymea Village and train station and a bus runs from the end of the street. Westfield Miranda is a 5 minute drive, Cronulla beaches is 15 minutes. Train to CBD is 45 minutes, airport is 50 minutes. There is a lovely bushtrack running alongside the creek that takes you down to Gymea Baths and estuary. During the day, the trees are filled with kookaburras, cockatoos, currawongs and lorikeets. At night the sounds of frogs can be heard in the creek and you may even be so lucky to hear our local Powerful Owl. All the neighbours are particularly quiet so the peacefulness and the sounds of nature in the surrounds are really wonderful. TPG WIFI installed. All bills included.